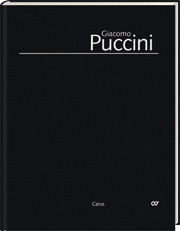 A scholarly-critical edition of Puccini’s only mass, based on the Urtext of the "Edizione Nazionale delle Opere di Giacomo Puccini". An examination of the autograph score has led to numerous corrections being made in the "Edizione Nazionale" compared with the old-established music text of this work. 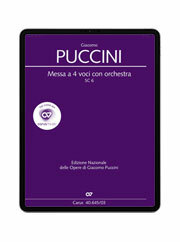 As well as this, Puccini’s orchestral amendments in the Benedictus and his new arrangement of the tenor aria "Gratias agimus" from the Gloria, both dating from 1893, have been taken into consideration. To assist customers, the newly-published practical performing edition and complete performance material from the "Edizione Nazionale" is listed under the number 56.001/01. 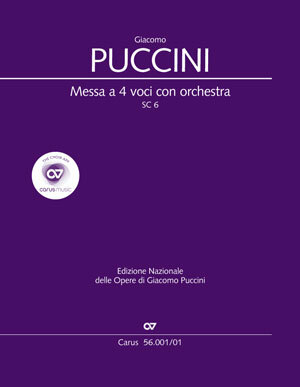 The orchestral parts have been matched to the Urtext of the "Edizione Nazionale", enabling some mistakes to be corrected. Material previously listed under the number 40.645 is now listed under 56.001. Individual orchestral parts from the old material can still be supplied on request to supplement sets. 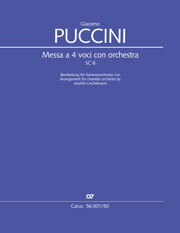 The vocal parts are not affected by the alterations; old and new vocal scores are compatible.